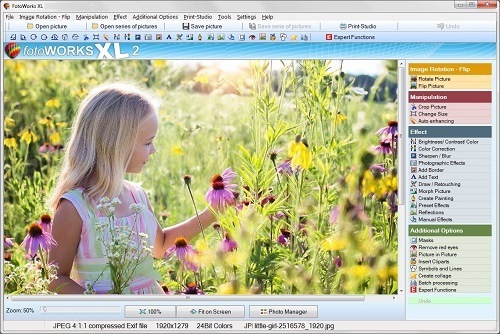 Providing all of the photo effects you could wish for in a single program, FotoWorks XL 2019 is the ideal image manipulation tool for professionals and amateurs alike. If you already use different programs for differing sorts of photos effects on your computer, then you may have considered the merits of rationalizing all of these digital functions into a single software suite. This is where the photo effects offered in FotoWorks XL 2019 can help. A comprehensive tool for all sorts of image makers – graphic designers, artists, wedding photographers, fashion photojournalists, web designers and students – the range of picture editor effects on offer with the suite is second-to-none. All of the program's photo effects are available to use within their own window with very similar controls. Use one, then return to the main screen to see if a second, or even a third of fourth, effect will make your image even more visually exciting. With advanced editing tools that anyone can pick up, plus handy video tutorials and an easy-to-read user guide, FotoWorks XL 2019 has all of the photo effect editor tools you could wish for. This simple photo effects suite offers so many picture effects that you will be happy with it for years and years to come. When using FotoWorks XL 2019, you will soon discover that the number of options available to you makes it a highly creative tool. Some photo effects funny outcomes are possible and you will even find amusing ideas come to mind that you would never have thought of without the software. However, the program is not all about creating silly memes or cartoon-like images. The professional level of the features means that you can apply highly advanced digital photographic effects that will make any picture look better. The photo effect editor will even allow you to process images in batches so if you want to apply a chosen set of filters to an entire shoot, then this can be done automatically for you which makes life easy for those with lots of images to edit. Framing your photo effects is easy with FotoWorks XL 2019 and you can make of use these features in a variety of combinations. When looking for photo editors and effects that work well together, try using the photo frames and borders available with FotoWorks XL 2019. Under the 'Effect' sub menu, simply click on 'Add Border' and then 'Select Border'. A number of options will subsequently appear, such as Christmas-themed borders, ideal for greetings cards, for instance. Click on one and a preview screen will appear which shows you the frame set at a standard level of zoom. 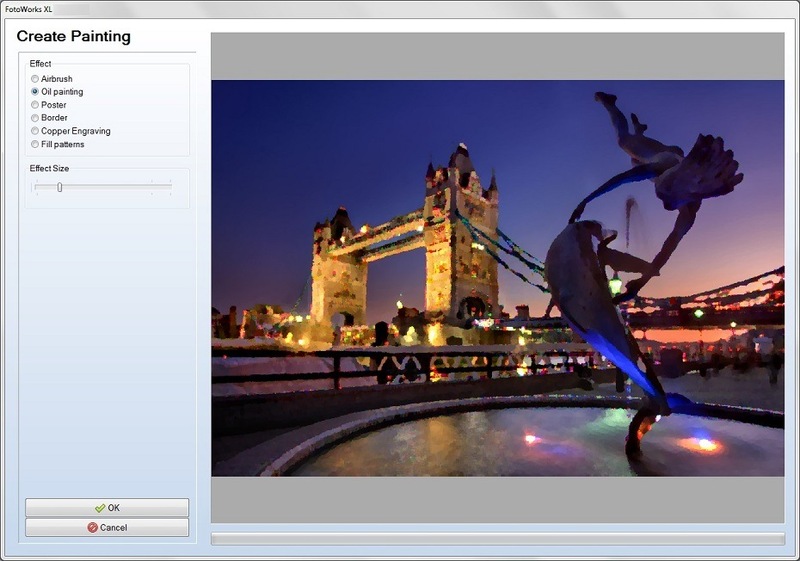 You can resize the border to meet your photo's dimensions – or a selected part of the image – using a slider control. Two further sliders allow you to shift the border into a new position. Once you are happy, just click on 'OK' and then you are free to proceed with any new photo effects you want from the 'Effect' sub menu. If you don't like the combination of picture effects together, then all you need to do is to hit 'Undo' and you revert to the previous version of the image. What easier way to edit photo effect or effects within frames could there be? FotoWorks XL 2019 offers users the ability to try out photo effects of all kinds without the need to pay. This advanced photo editor effects package not only brings together a huge number of photo effects in one program, but it can be tried out at zero-cost. Unlike other photo effects software you might have used in the past, FotoWorks XL 2019 is provided without any upfront charges. 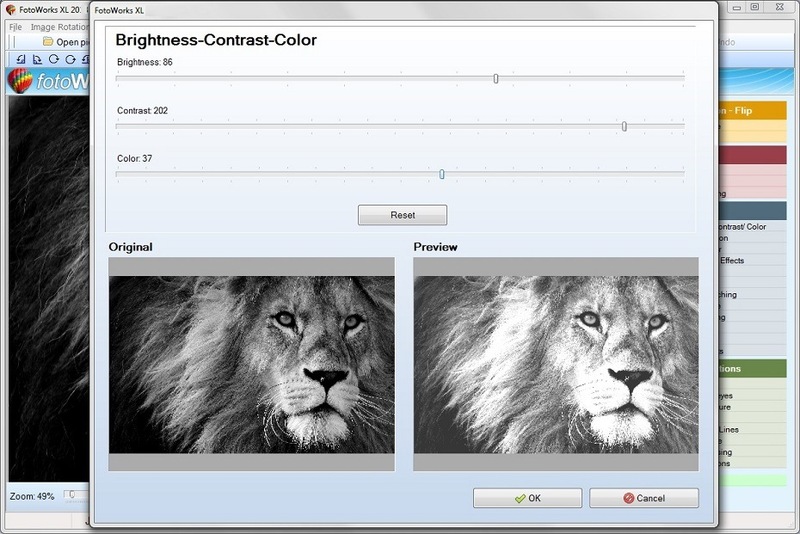 The photo effects software free download takes only a few moments via a good broadband connection. You can then utilize the entire suite - without any restricted modules or features - as many times as you like within the free trial period.